*Nexon and its publishers reserve the rights to remove any maps which contain sexual, offensive or misleading contents. 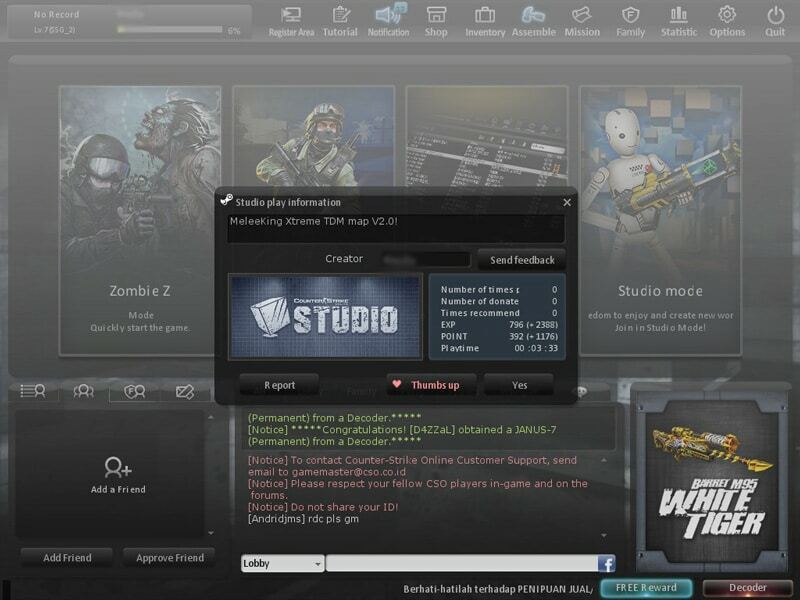 To start, click on the STUDIO button in the Lobby. 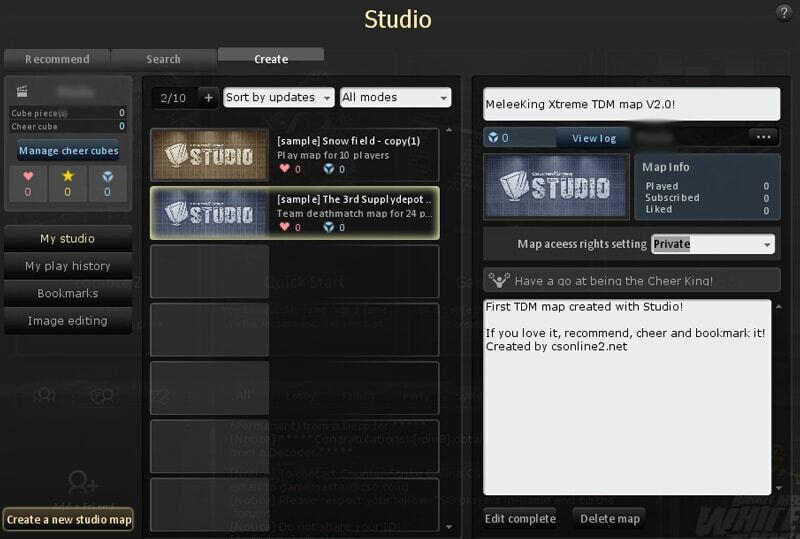 Click on the CREATE tab, followed by the CREATE STUDIO MAP button. To proceed with the editing, select Make a Creation Map. Up to 10 players are allowed to join and contribute. A note of caution however, while anybody can save the map, the same can also apply to destruction. Password-protect your maps and only give access to trusted friends. Each map access rights settings can be made private, public, or public + copyable. Choose the last option only if you are fine with other players using your map as a template (must be edited first). Last but not least, creators of the map are allowed to change their map images, and manage their cheer cubes. 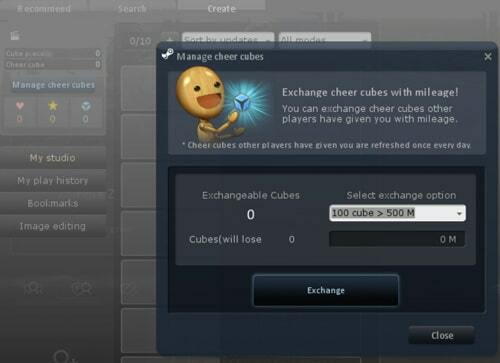 Cheer cubes are “funds” given by other players to support the map creators, which are exchangeable for Mileage Points. The first four tools are accessible on weapon slots  – , while some of the rest are only obtainable from events. Spawn and remove blocks and entities. Short-range version of the Voxel Rifle which allows creation and removal of blocks and entities mid-air. Links and cancel blocks and entities together. For example, linking a button to a door so when the button is pressed, the door opens. Rotates blocks and entities by 90 degrees. Secondary fire switches rotation to anti-clockwise. Same function as the Voxel Rifle, with a much higher rate of fire and further range. Mainly used on large maps. Scans blocks and entities for easier copy and paste to other blocks and entities. Secondary fire copies their attributes (e.g. positions, behaviors) as well. When thrown, this grenade explodes into a bunch of junk cubes that are easily destroyed. Primary fire launches a junk cube which is easily destroyed. Secondary fire deals a short-ranged melee attack that inflicts 50 damage in health points. A portable modified rockbreaker which allows destructions of blocks and entities quickly in Studio Mode. It is also usable in other game modes, dealing considerable damage. Secondary fire swings it to knock back enemies. There are 4 main shortcut keys accessible as displayed above. 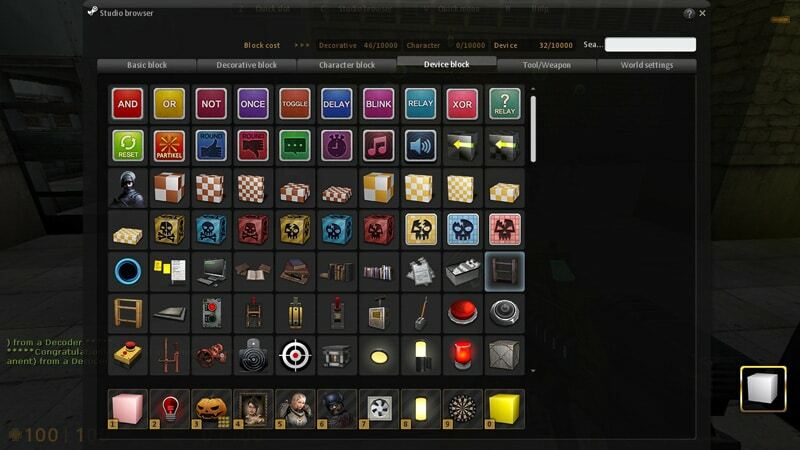 Quick slot [Z] toggles the [1 – 0] customizable shortcuts, which are mainly used with the studio tools. 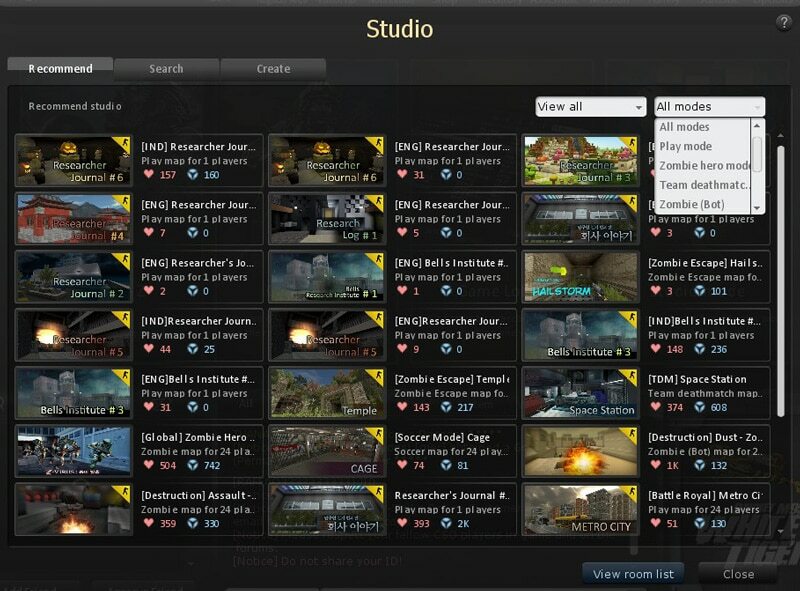 The Studio Browser [C] brings up the blocks interface. Basic blocks are the blocks used to create the map. Decorative blocks are map props such as trees and vehicles. Character blocks are mainly NPCs (Non-Playable Characters) and enemies. 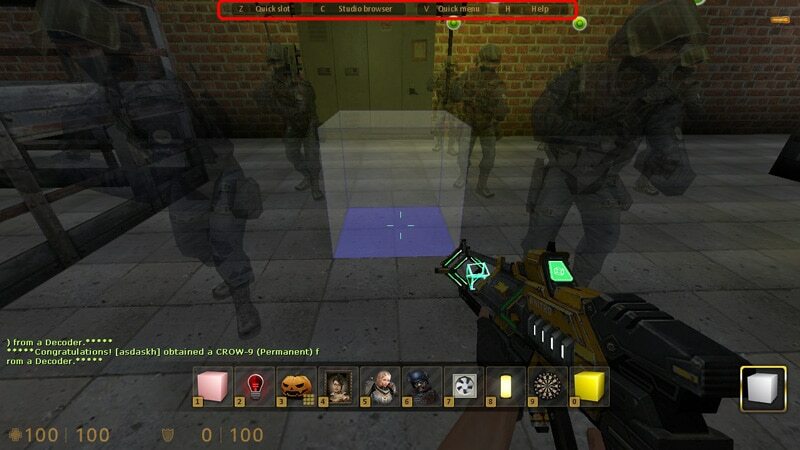 Device blocks are combinations of map functions (trigger_hurt) and condition switches (press button to open door), that are mainly used in conjunction with the Voxel Connector tool. 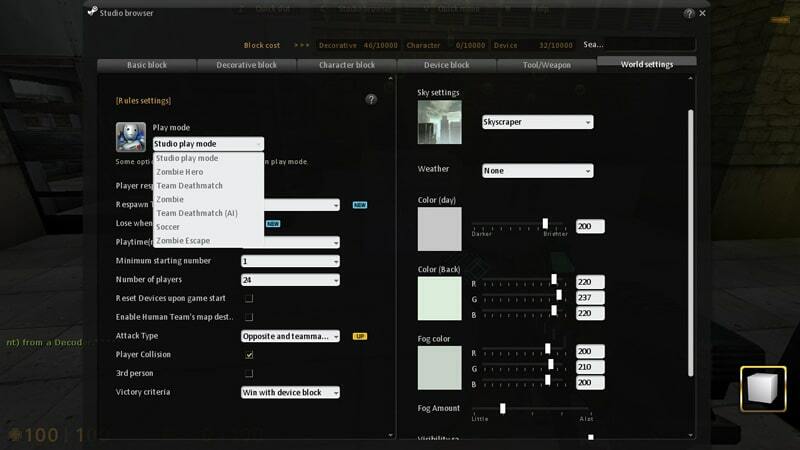 The Quick Menu [V] toggles an minimized admin control panel that simplifies the map creation process such as enabling ghost mode, noclip, and third person. Meanwhile, the Help Menu [H] brings up the advanced tutorial and guide. These blocks can be assigned to the quick slots and swapped out for convenience. Players can join recommended maps and search for them by clicking on the Recommend and Search tabs respectively. 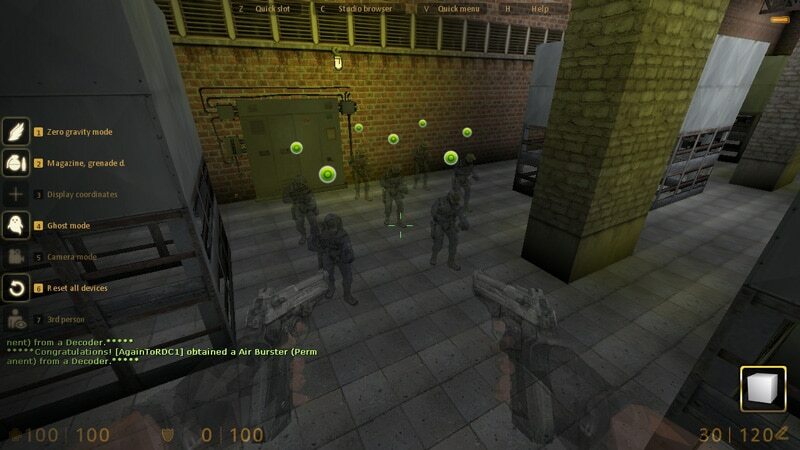 Popular maps are generally played the most and have the most recommendations. After exiting a map, players are given the option to send feedback to the map creator, give it a thumbs up or report it for violating the rules.